But the better movies will attempt what the study of history has always done—that is, to challenge easy assumptions by bowing to the often messy facts. 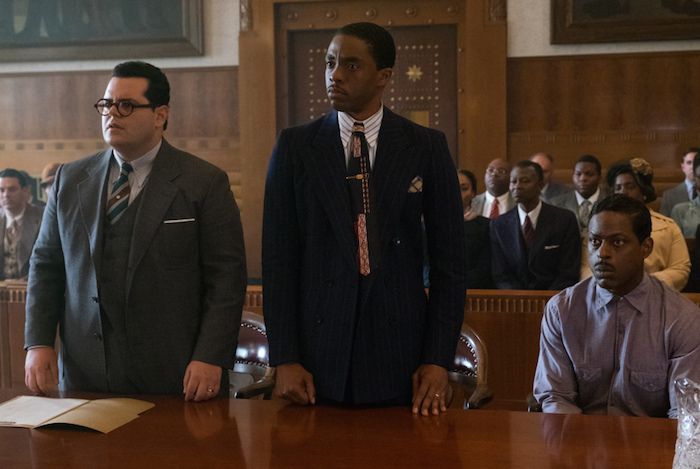 Thus, for instance, Marshall, set for release by Open Road Films on Oct. 13, will probe the uncomfortable realities in a 1940 court case that found a black butler, Joseph Spell, played here by Sterling K. Brown, testifying that his white employer, Eleanor Strubing, portrayed by Kate Hudson OOPS SPOILER. NOT SHARING.